Wedding and event planner Melissa Smith exudes the energy and passion of a newly engaged couple. Melissa’s blend of skill and enthusiasm for her work shines through in every meticulously planned detail of her weddings and events. Even brides on a budget can depend on Melissa to create a spectacular experience and make this special time stress-free, while having the opportunity to use her creative and artistic abilities. At Timeless Charm, Melissa shines as our Venue Coordinator. Whether she is giving a tour or planning an event, her work ethic embodies personalized service, elegance, and fun. Her efforts create unforgettable memories for her clients. 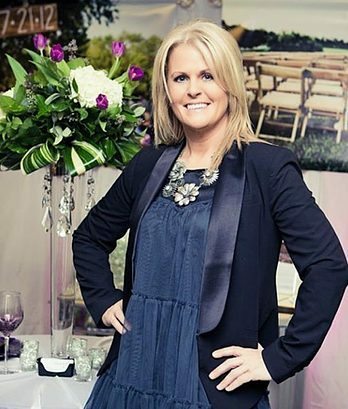 As a wedding specialist, she offers her expertise in wedding planning and coordinating as an extended service to brides to enhance their Timeless Charm experience. As a wedding planner, she previously co-hosted The Bridal Show, a local television program that focused on weddings in central Kentucky. Before pursuing her passion as a wedding and event planner, Melissa worked in the travel industry, which gave her the opportunity to work with many notable celebrities, including The Rolling Stones, Wayne Newton, Bo Derek, and Drew Carey, as well as professional sports teams such as the Cincinnati Reds and Chicago Bulls. She also served as a travel liaison to presidents and queens from other countries. Melissa loves to unwind by working out and spending time with her family and friends.